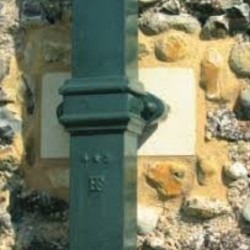 The contemporary version of our cast iron half round systems, Beaded Half Round features a protruding ornamental bead on each side of the profile. It is available in both primed or black painted options in two sizes, 115mm and 125mm. 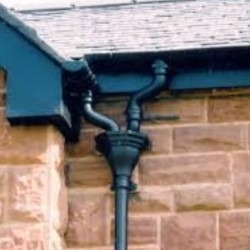 The 115mm variety is the most commonly found, and it can be used in conjunction with our circular downpipes (65mm or 75mm). This decorative range is popular all over the UK and particularly in Scotland, where beaded is the first choice above normal half round. The majority of people choose the beaded half round in black - it gives a very traditional appearance which is differentiated from the more functional standard half round by the decor bead on each edge. 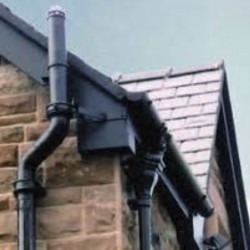 Please be aware that downpipes have been listed on a different page because of the broad range on offer - please click here to buy downpipes. Please allow 48-72 hours for delivery of these products.